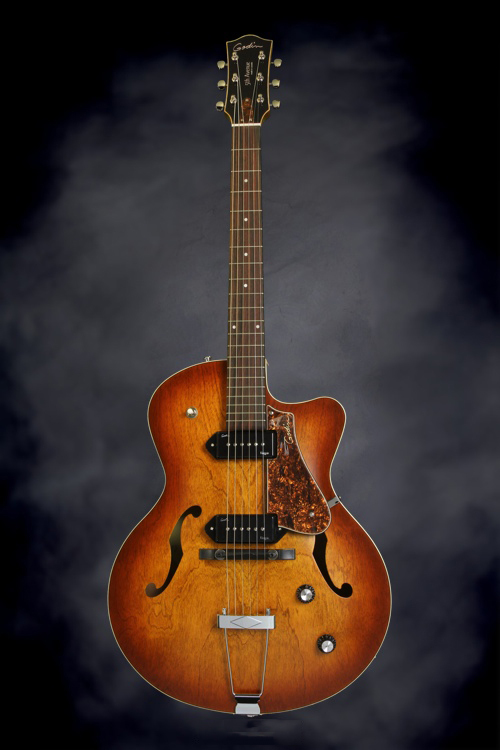 Fantastic archtop fitted with two P90 pickups! 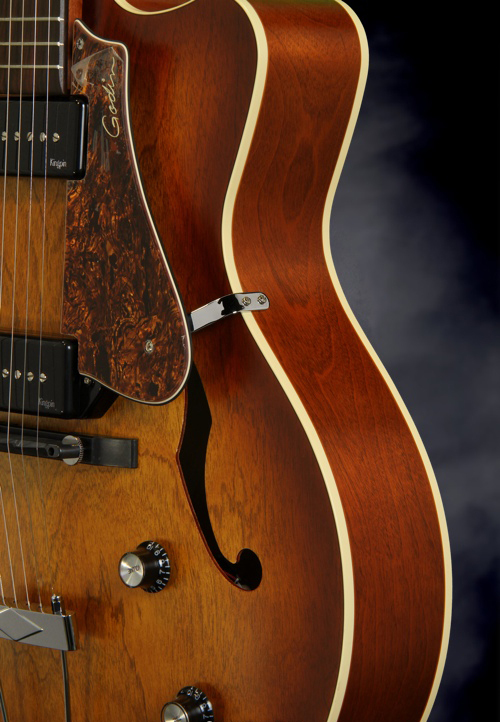 Tap Into Rich Vintage Tone! 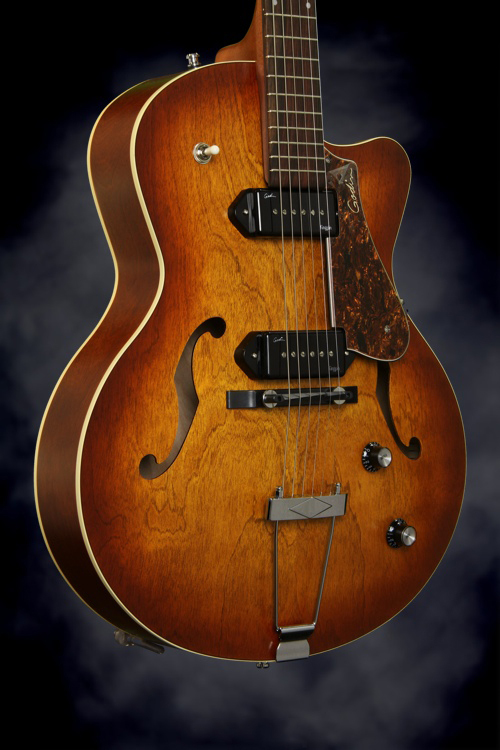 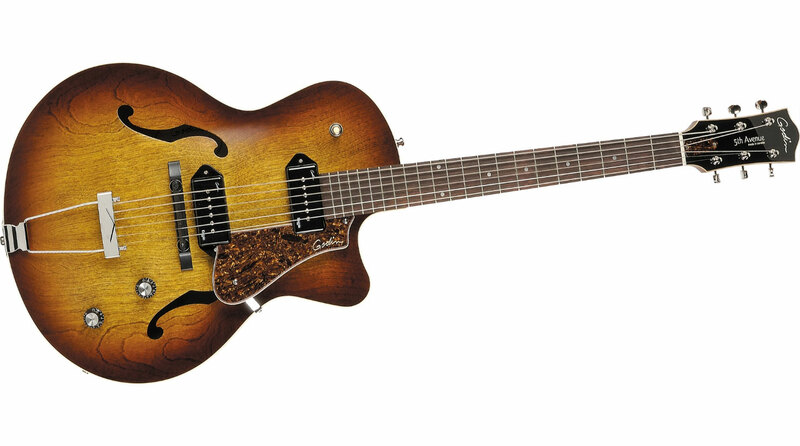 Injected with the soul of yesterday, with a forward-thinking design, the Godin 5th Avenue CW Kingpin II archtop guitar is ideal for the sophisticated guitarist. 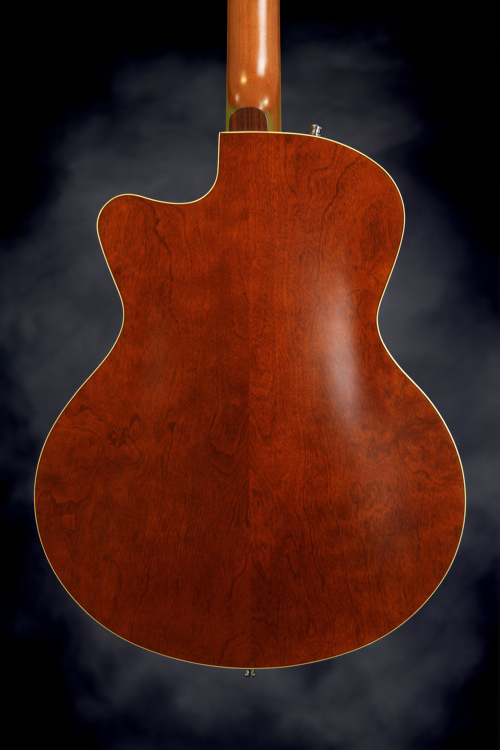 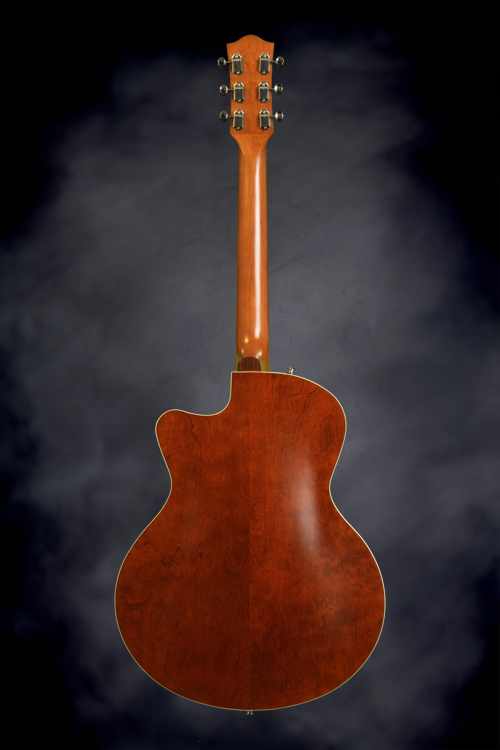 Get ready for dynamically rich tone with plenty of projection, courtesy of the Canadian wild cherry archtop top, back, and sides. 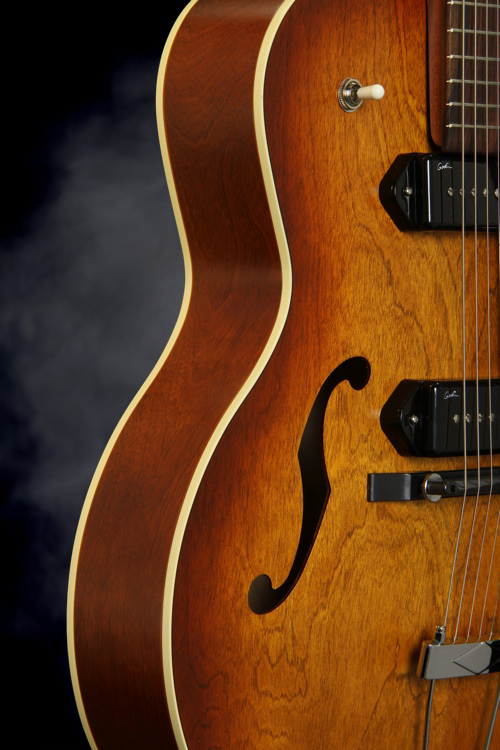 As you plug into your favorite amp, the 5th Avenue CW Kingpin II's duet of P-90 pickups gives you vintage tone with just the right dose of attitude. 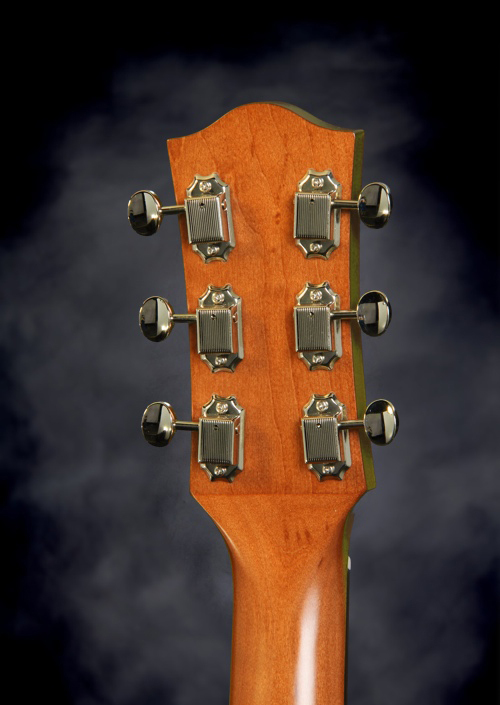 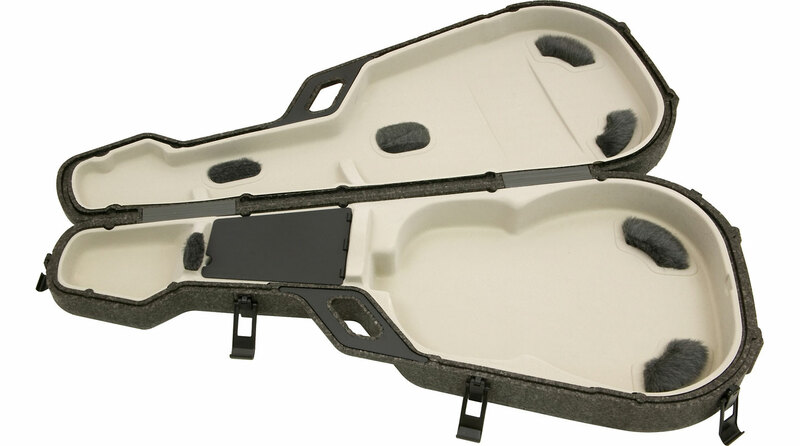 And thanks to the cutaway, you can grip the silver leaf maple neck and enjoy easy access all the way up the sweet-playing rosewood fingerboard. 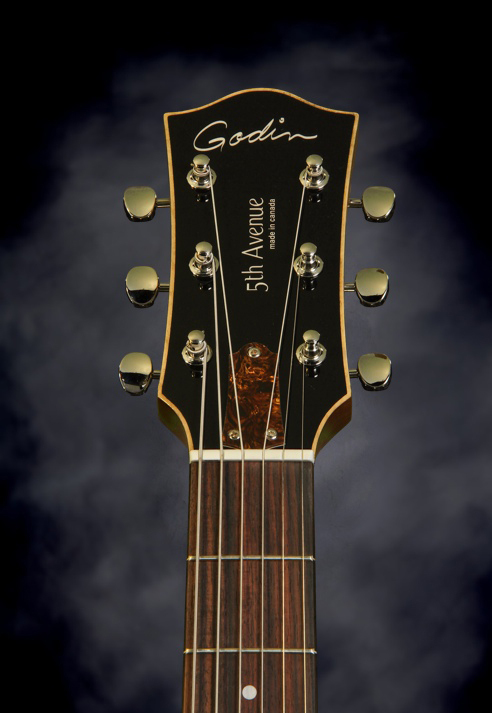 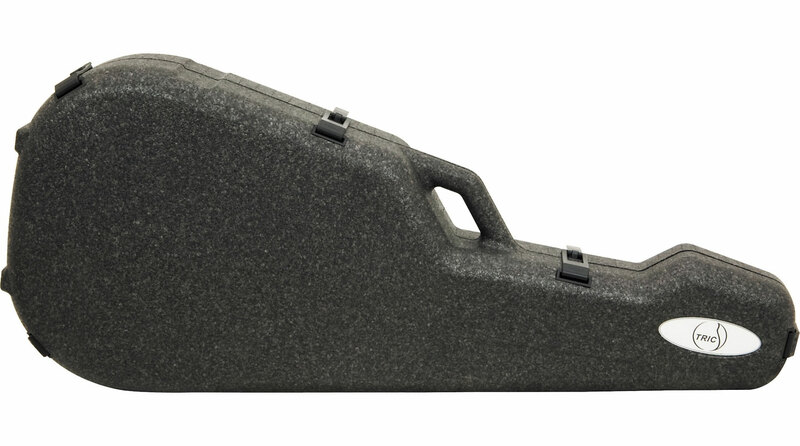 Whether you play jazz, alt-country, delta blues, rock, or anything in between, the Godin 5th Avenue CW Kingpin II is just the distinguished, tone-drenched guitar you've been looking for. 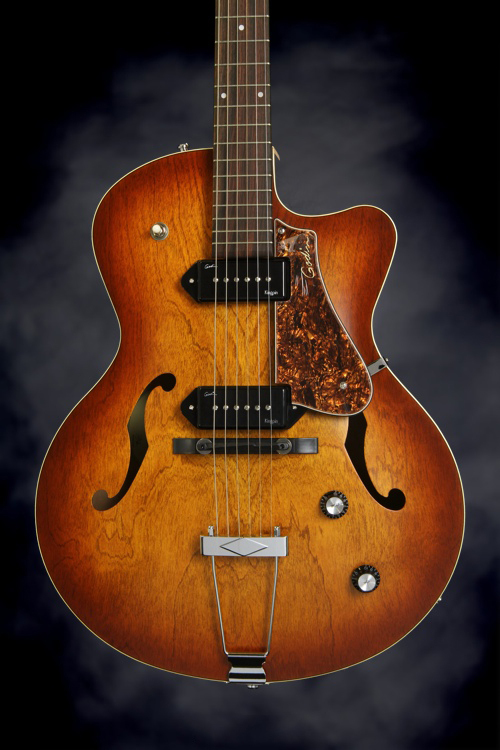 Factor in the rustic-inspired beauty of its custom satin-sheened polished finish, and you've got a guitar reminiscent of yesterday, with all the playing conveniences of today.